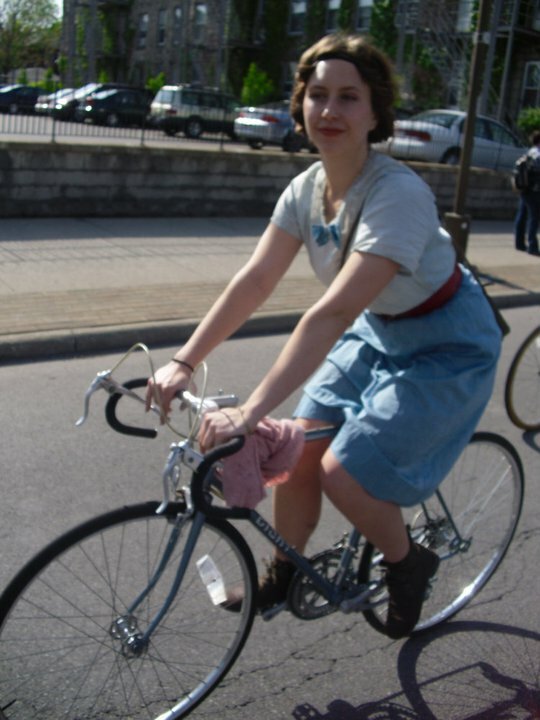 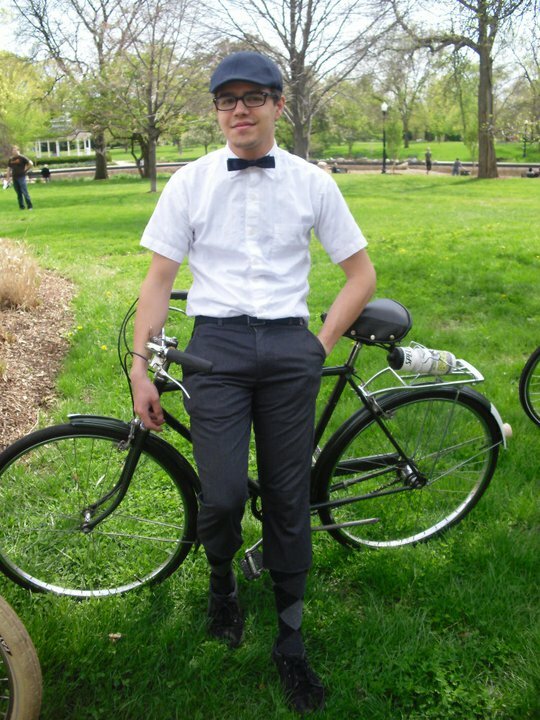 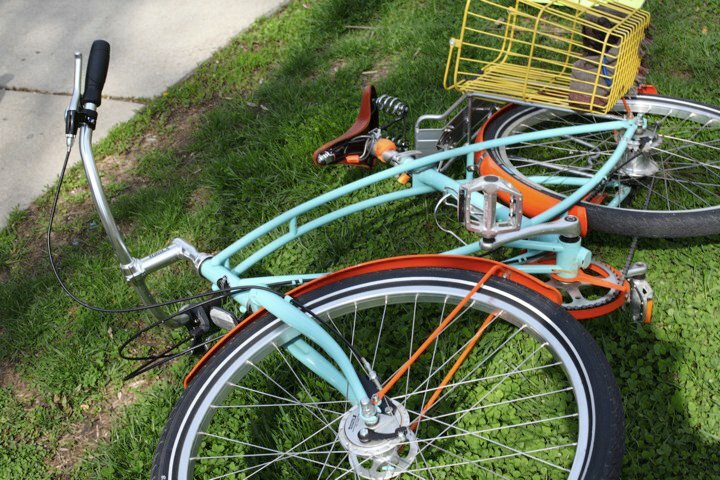 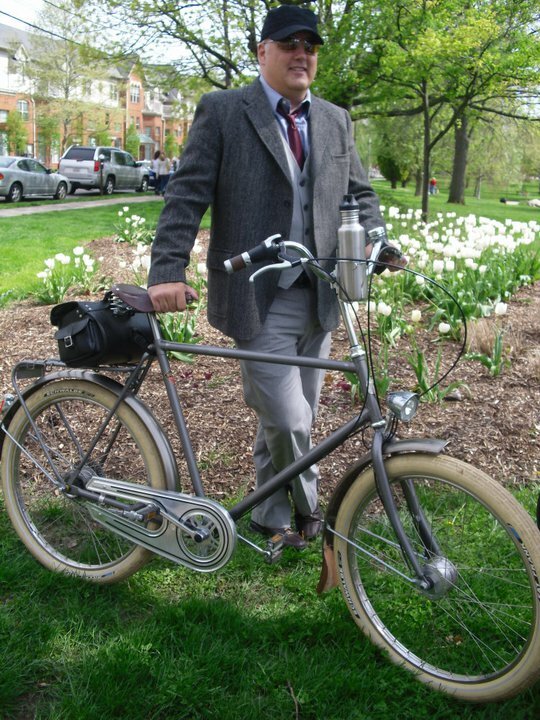 Lilacs and Bicycles and Springtime – Oh, my! 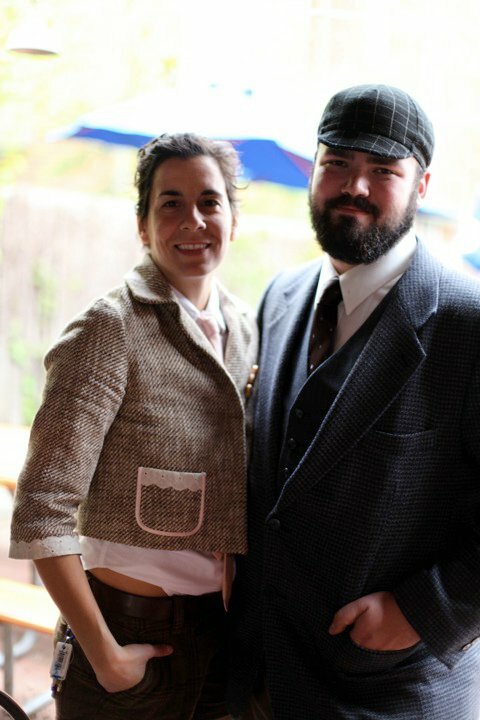 Beautiful Tweed-ers. 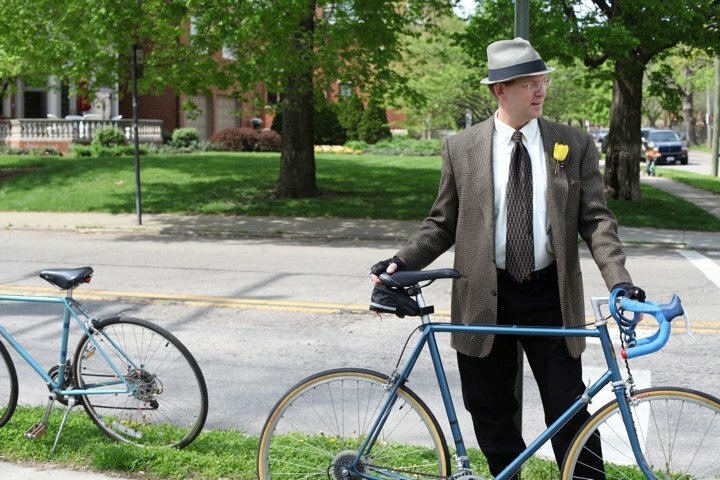 eagerly waiting for others to roll up in style. 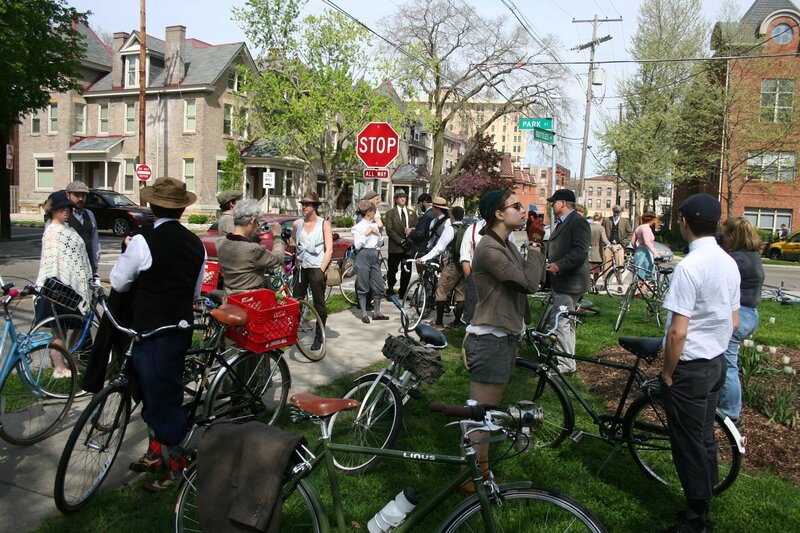 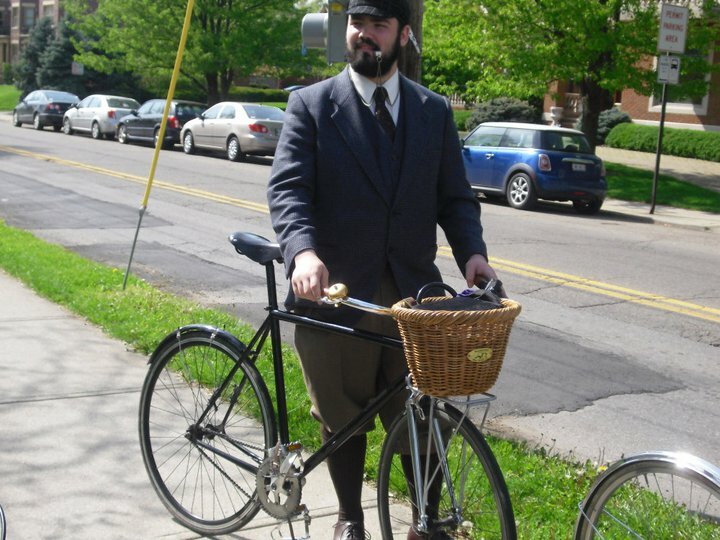 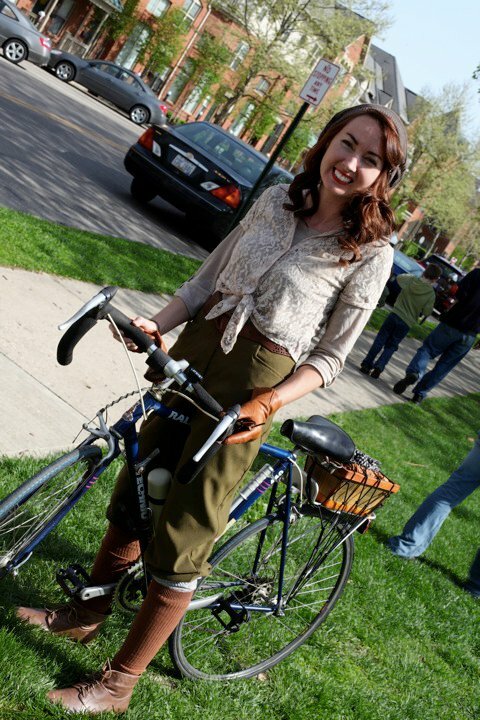 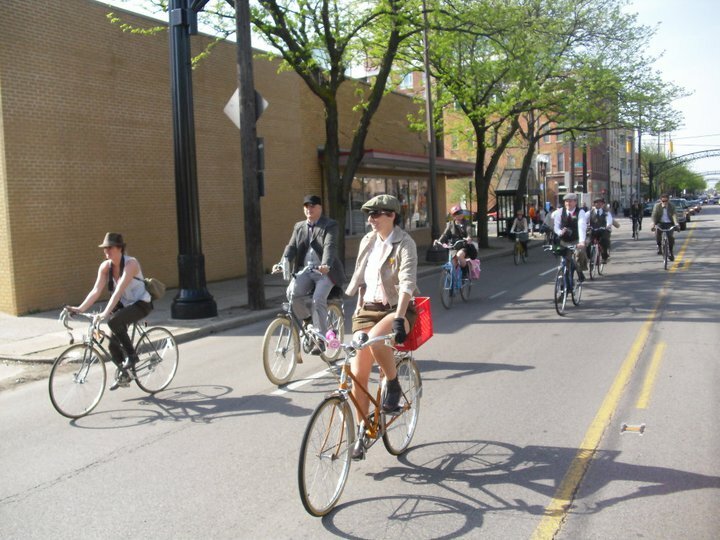 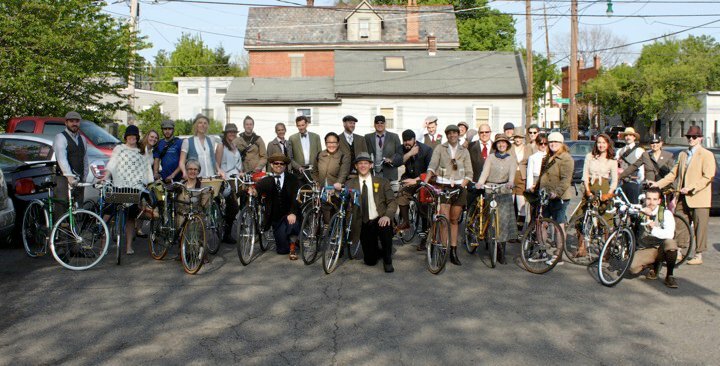 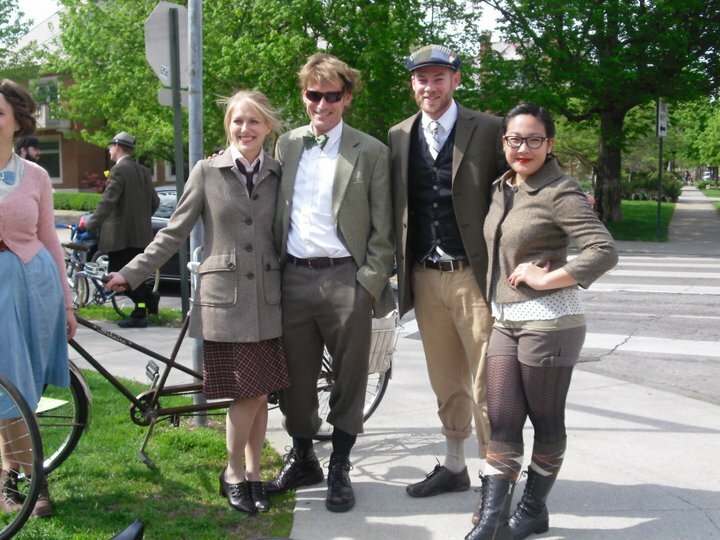 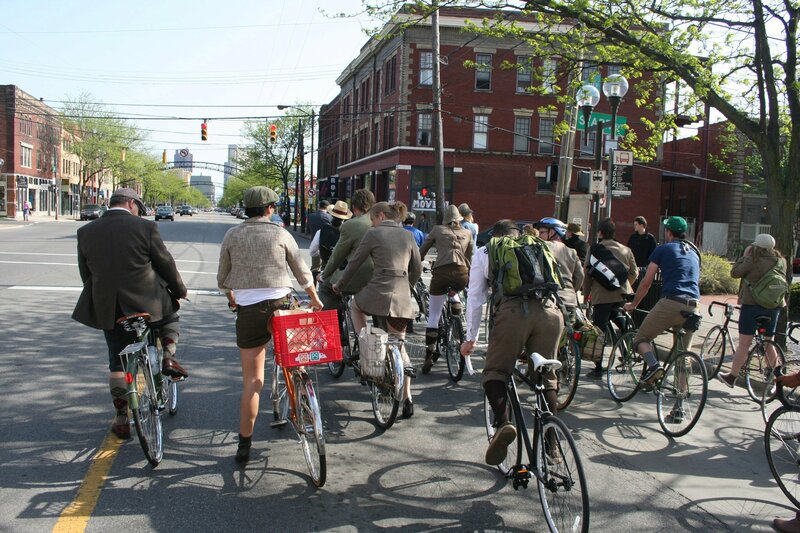 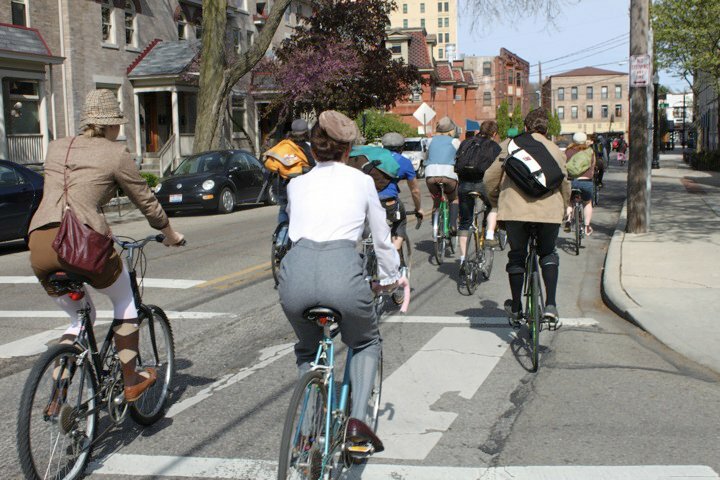 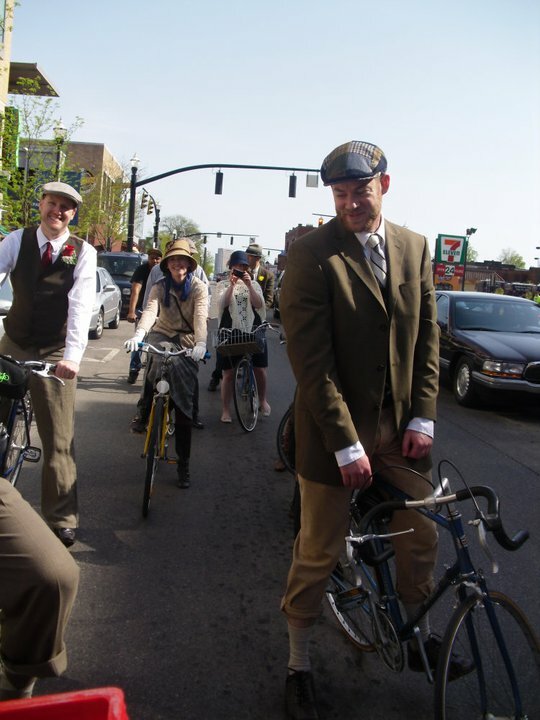 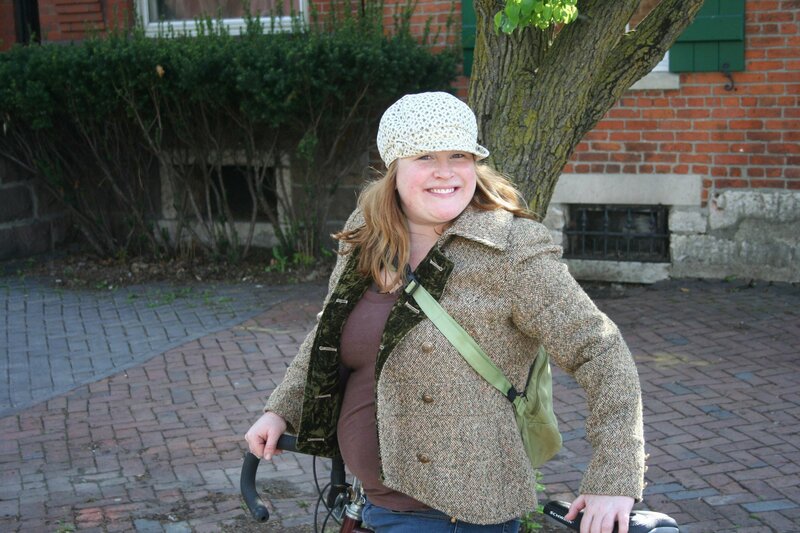 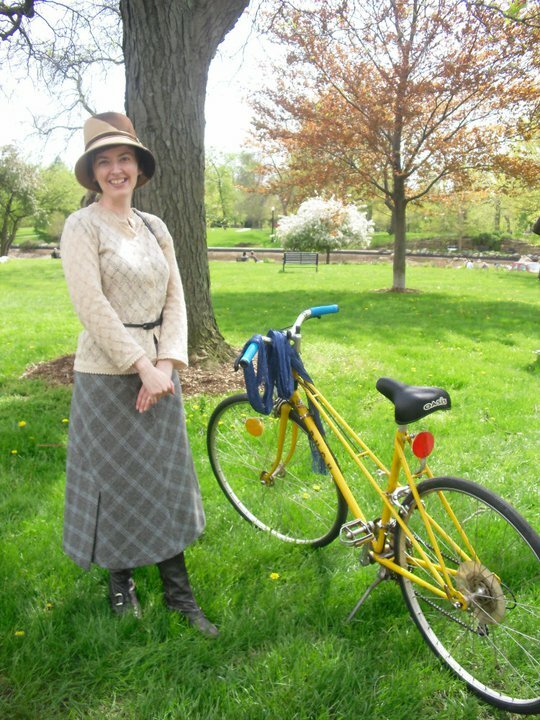 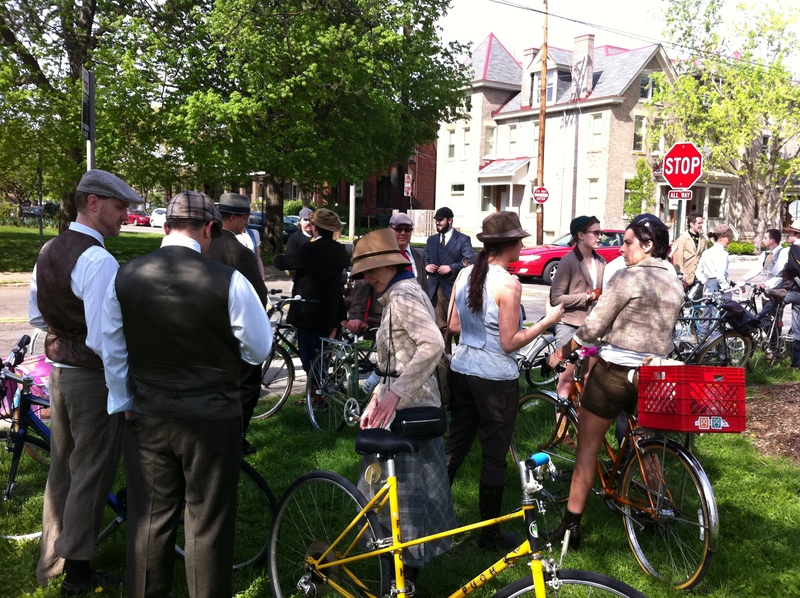 No Tweed Ride is complete unless you have a tandem with a beautiful couple pedaling. 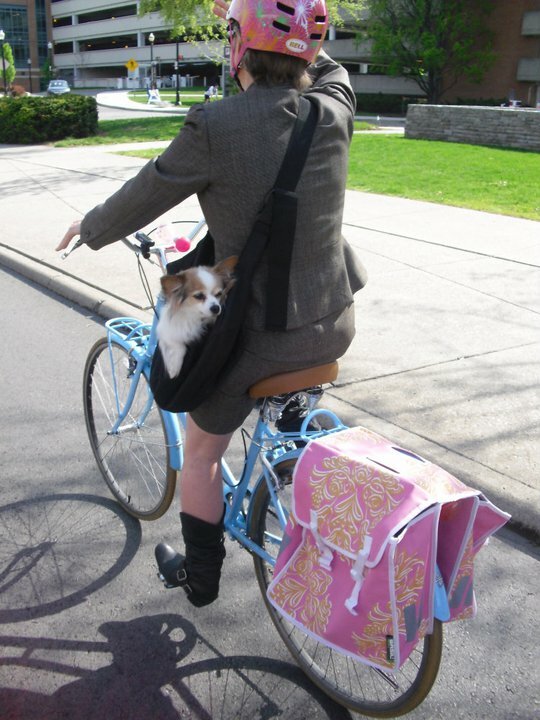 That’s Fly, enjoying the beautiful Saturday ride while mum is busy promoting bikes! 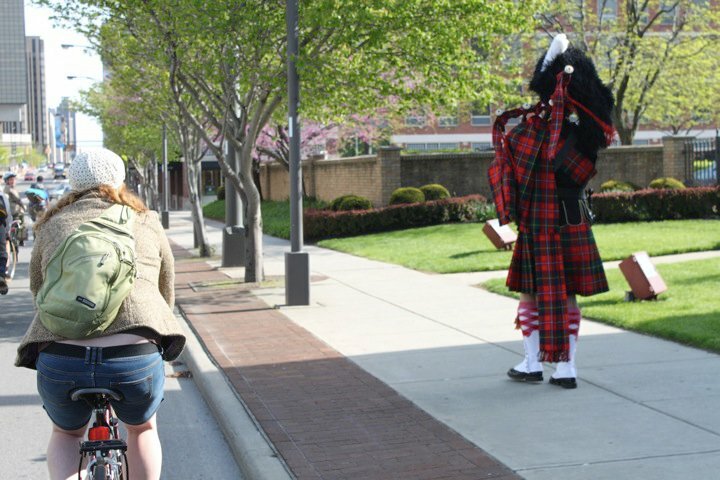 This Bag-piper was walking down the street and when we passed him, he began playing for us. 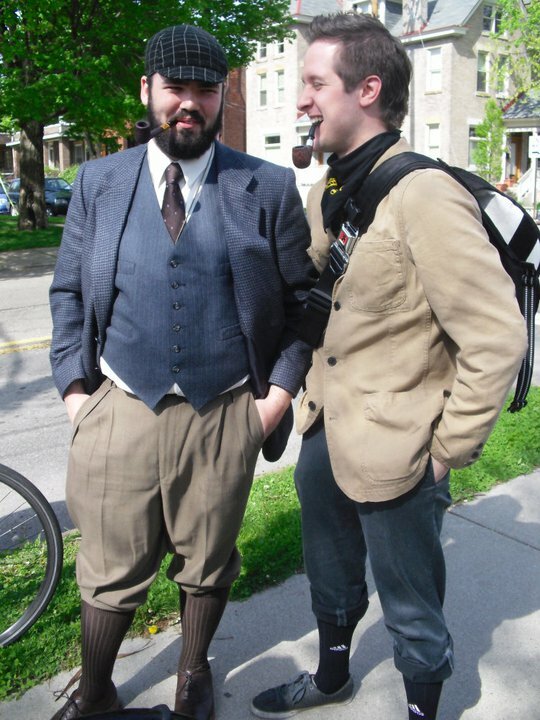 Mr. Tweed and I at the end of our day. 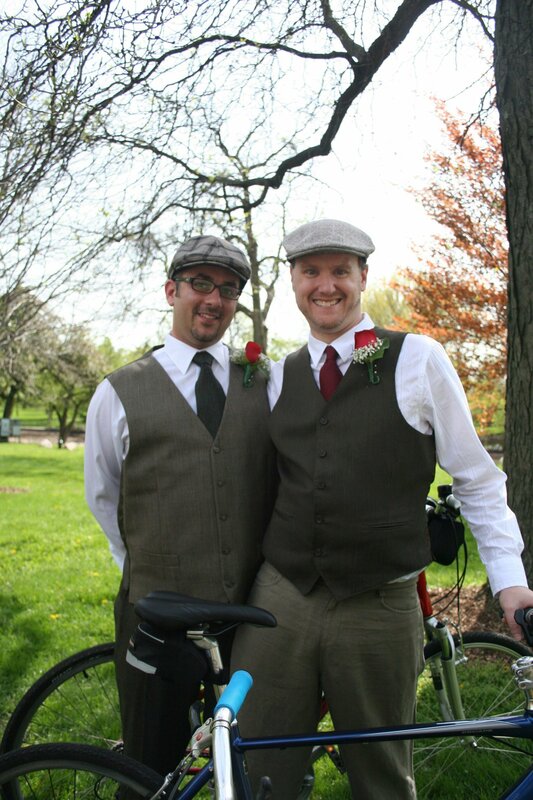 The day couldn’t have been any more perfect than it was.